At the Episcopal Church General Convention held in Austin in July 2018, Presiding Bishop Michael Curry announced The Way of Love, an invitation to all to engage in practices for a Jesus-centered life. The Diocese of West Texas is saying “yes” to the Presiding Bishop’s invitation and joining Episcopalians across the country in making Jesus the center of our lives. We invite you to join the people and churches of the Diocese of West Texas in engaging in Bishop Curry’s vision for a life lived daily in the presence and awareness of Jesus Christ. 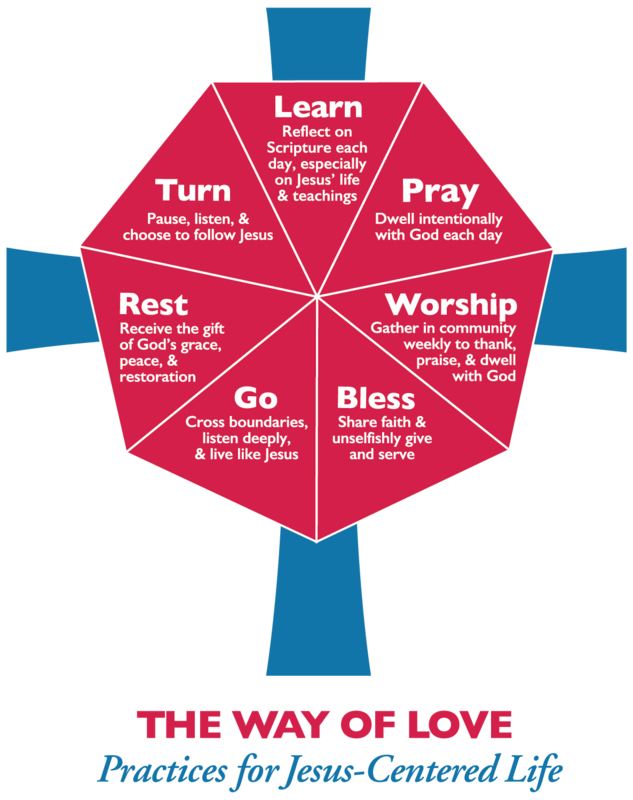 At our Council in February 2019, we will engage the seven practices of Way of Love with a variety of exercises, conversations, studies and activities. Clergy and delegates will be be supplied with ideas, inspiration and material to take home to their local churches.